A complete and integrated Microsoft Active Directory management software solution that fills the administration gaps native tools leave behind. With Active Administrator, it’s easier and faster than native tools to meet auditing requirements and security needs while also maintaining business continuity and increasing IT efficiency. Manage the most important elements of Active Directory from one solution with integrated functionality. Simpler and faster than using multiple native tools or point solutions, an integrated approach helps you meet auditing requirements, tighten security, increase productivity and improve business continuity with ease. Get a quick understanding of AD security with Active Administrator’s tree view of containers and associated objects. Then delegate control quickly and consistently with customisable and reusable templates. Eliminate over-privileged users by assessing, standardising and applying security policies and permissions. 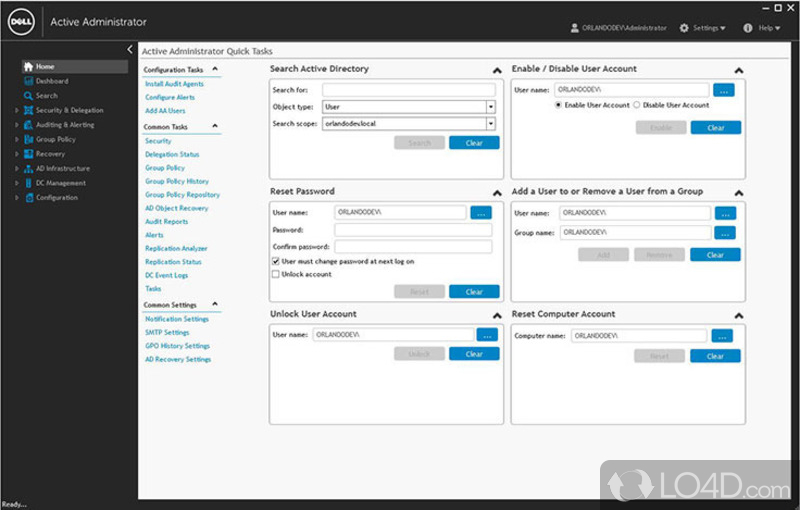 Quickly monitor and report on changes by filtering event type, user, and date, as well as user logon and lockout activity. Using report data, you can configure event alerts and automate alert-based actions, enabling you to quickly respond to – and correct – improper changes to AD. Save time by scheduling automated backups. Then easily recover entire AD objects or just particular security settings or attributes; or quickly restore a GPO to a previous known state. The ability to granularly recover Active Directory and Group Policy ensures business continuity when unwanted changes or deletions occur. Copy, edit and test GPOs in a secure, offline environment. Comparison reports help you quickly understand GPO changes. You can also stay on top of GPO changes with automated checks, and easily roll back a GPO to a previous known state. These advanced management capabilities enable you to operate more efficiently. Monitor health and performance with assessment reports and dashboard views of AD configuration, replication and domain controllers to ensure availability of Active Directory. 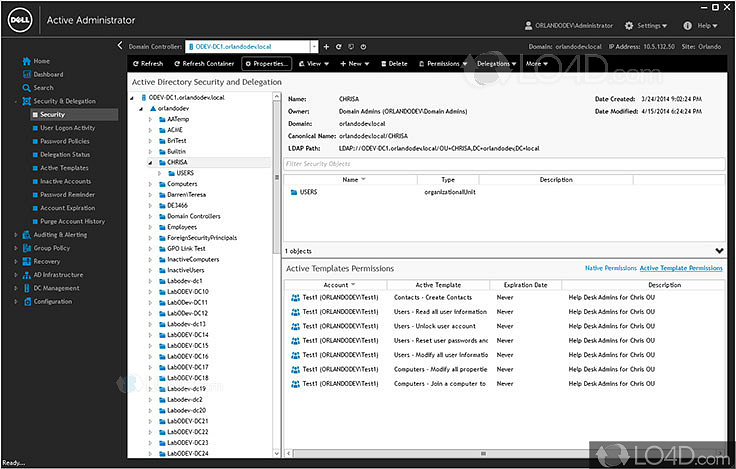 Easily add or remove domain controllers, switch to another domain controller, connect through remote desktop, and reboot domain controllers with the DC Management Module. If you'd like to have a chat with us about Active Administrator, please select this option. If you'd prefer to email or phone us, our details are also here.